This is a guest post written by Lior Levine, a marketing advisor for a company that offers innovative new cancer treatments. Lior also works for a web hosting company that lists the best web hosting companies available online. There are hundreds of new blogs created on a weekly basis, and one of the top priorities of new blog owners is promotion. It’s not just important for new bloggers though. It’s a top priority to all bloggers -- even the pros. Promotion helps to increase traffic to your blog and also establishes you as an authority in your niche. Twitter is great for promoting your blog because it lets you connect with like-minded people and find other bloggers in your niche. Best of all, there are hundreds of tools like HubSpot and Twitterfeed that will let you manually or automatically post each of your blog posts to Twitter (and even Facebook) as soon as you publish them. The more of a following you have on Twitter, the more potential traffic you can generate to your blog posts. Once you join Twitter, it’s important to know how well your tweets are doing. Crowdbooster measures your performance on Twitter (and Facebook), and then provides tips on how to improve your engagement along with in-depth analytics. 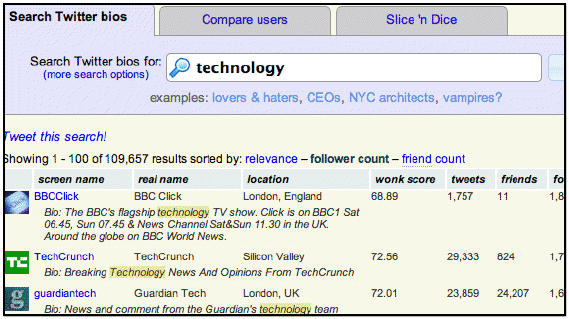 This way you can improve what you’re tweeting, and get more reactions from your followers. Crowdbooster even includes at-a-glance tweet-level insights and audience insights so you can analyze your tweets and retweets and see what your followers like and don’t like. It also provides data on your followers’ activity to help you determine the best times and most relevant content to tweet. Other tools to help you monitor, participate, and collaborate on Twitter include CoTweet and HootSuite, all of which help you to manage multiple accounts and contributors. the word technology in their bio. Along with that you’ll be able to see their location, Wonk score, number of tweets, friends, followers, and how long they’ve been on Twitter. Then you can just click on their username to visit Twitter and follow them. You can even go a step further and add all of these users to their own Twitter list. You can name the list “technology” (or whatever word you searched for) and then use the list to keep a closer eye on their tweets and interact with them frequently. This also helps to build relationships with like-minded users. Soon, you’ll find that they’re also interacting back and even retweeting your blog posts. Just about every blog now has social sharing buttons so you can share the post on your social networking accounts and save it to social bookmarking sites. The most important buttons to include on your blog are for Twitter, Facebook, LinkedIn, and Google+. You should make it as easy as possible for visitors to share your content, so make sure you put these buttons in obvious places on your blog and on individual articles so they can’t be missed. The most popular locations for buttons are above the content, below the content, or to the left of the content. There are also social toolbars that will remain in place on any page and are great for encouraging interaction on your blog. A simple Google search will bring up a ton of different solutions. In case you’re wondering, the gift card is not for you. It’s actually for running a contest on your blog. The concept is pretty simple and can be changed based on your needs. All you have to do is come up with an entry system that requires other bloggers to link back to you. You can either have them publish a post on their blog, retweet a post from your blog, or Like your Facebook fan page in order to be eligible. Any one of these methods is sure to help expand your blog's reach and attract new visitors. The $50 remaining is left for donating to a charity. Once you choose a winner for your contest, have them choose a charity that you will donate $50 to it on their behalf. You can then do a write-up about it on your blog and mention why the blogger chose that charity. You could also have them do a write-up on their own blog stating why they chose that charity and also include a link back to your blog. Blog directories are great because they’re kind of like phone books, except for blog owners. There are hundreds of free blog directories out there. You’ll want to make sure to submit your blog to at least the top 25-50 directories available. This can help you get more traffic and help with rankings as well because it creates inbound links to your blog. There are millions of blogs on the web. Why not go comment on other related blogs or let other bloggers know about similar posts you’ve written? You can use some of the blog directories to which you've submitted your blog to find other blogs in your niche. This is something that can be done in 1-2 hours a day and will do wonders for your network. The more you get your name and blog URL out there, the better. Also, be sure to retweet, Like, and share posts from other related blogs to show your support and encourage reciprocation by those blog owners. 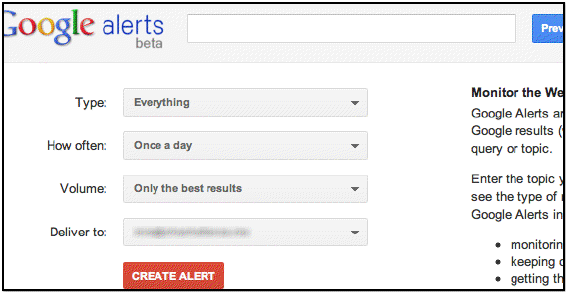 Finally, we have Google Alerts. Setting up an alert for your name, blog name, and blog URL is a great way to keep track of what is being said about you and your blog. You’ll be able to monitor both positive and negative comments; be sure to pay attention to both and respond when necessary. If someone gives you a compliment or shares one of your blog posts, be sure to thank them. If someone says something negative or criticizes you, thank them for the feedback and apologize if needed. If it’s true constructive criticism, be sure to act on it and make any changes if needed. So there you have it. For only $100, you can not only promote your blog across the web, but also increase your traffic and your rankings. As you can see with the power of the internet and social media, promoting your blog doesn't have to be expensive or time-consuming. If you don’t have $100, you could even skip the contest, and promote your blog totally for free!